And this best online platform you can access anywhere,any time and any place.Even you can access with your handy device which is simple,faster and smarter.And also provides rental agreements and home loans is much easier to people.Different banks are offering the home loans according to your eligibility. It also provides a verified agents where you can tie up by following the information. This is the best feature of housing by sitting at your home sell or rent your property by one click.If you're going to Sell or Rent a home just fill out the form with your accurate information.A simple form can sell or rent you're lands,flats,homes etc.Even you can call to sell or rent your property easy,faster and more convenient when compare to other services. 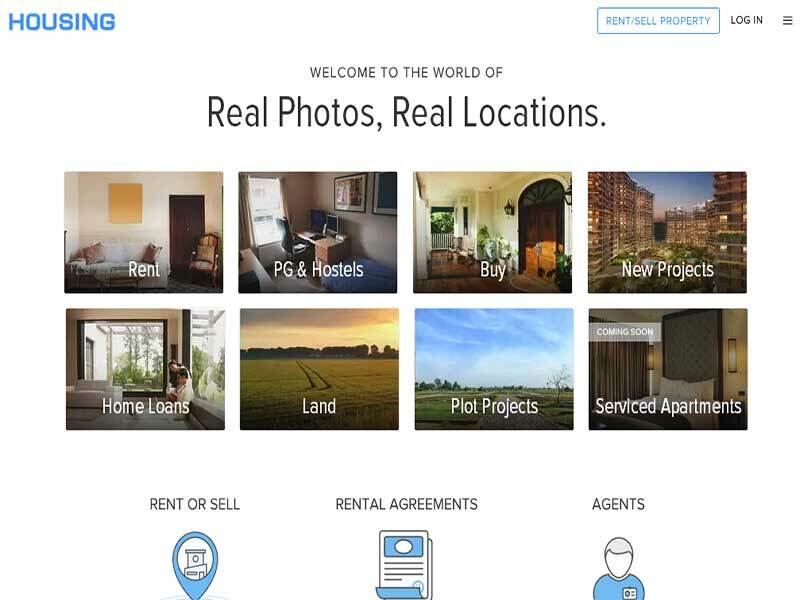 Most of the people's are busy with their duties,works and no time to sell/rent/buy a property.So, housing provided a Android App where you can access at any time,any where and any place.Simply you can search the places,lands with you're android mobile.This app is available in Android and IOS devices.A simple,easy,smarter and faster mobile app to access. It is a simple interface,good navigation and user friendly.A good navigation is must for the newbies to access the website and it is a user friendly.Sorting,Filtering and search by keywords with this facility a newbie can access,search and find a good property without any help.Even you can filter by city,area,popularity,place and much more . Here every buyer or seller provides a complete and accurate information with photos,contact details,area of place,age of home/flat, price and much more.And housing verify the data and allow people to provide the information after verification done.By that you don't have to worry about facilities.This is best option by sitting at home you will get all information and time saving. Easy and simple navigation to find a property just by entering a name of place. Even you can filter by BHK(Bedroom Hall Kitchen) and Budget. You can view in two ways in List and Map view. In Map view you can find places with prices ,RK and type of furnishing. You can filter by relevance,price and newest. In list view you can find places with photos,name of place,price and much more. Even you can get the information of nearby for your daily needs. For a particular home you can find the bunch of photos,contact details,name of place,area,floors,age of home etc. with accurate information. Buyers and Seller provides complete details with accurate information. 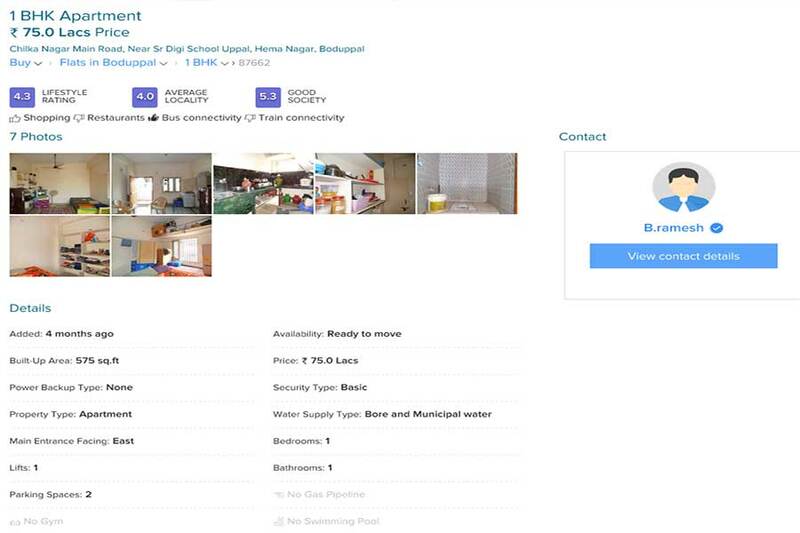 Here you can see the above picture with complete details of a flat or home.A buyer can see the price ,type of house,age of house,contact details,a bunch of pic's,area,floors,location of place and much more.A easier way to connect buyer's and seller's.Even you can get information of nearby for your daily needs.Time saving and easy way to get your dream house by one click.This is how housing provides the data with complete information.Easy to navigate ,simple and user friendly. Unable to find good one ? having query ? Want know more about it ? 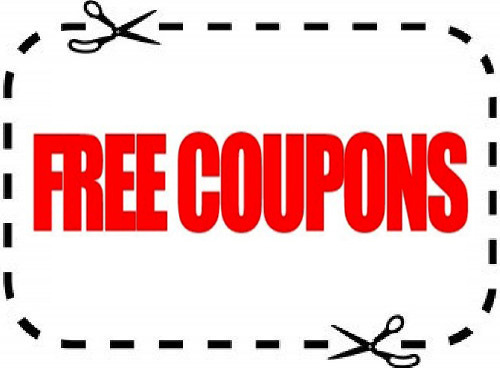 Just call or drop a mail to housing.com they will solve your problem by explaining you're query. 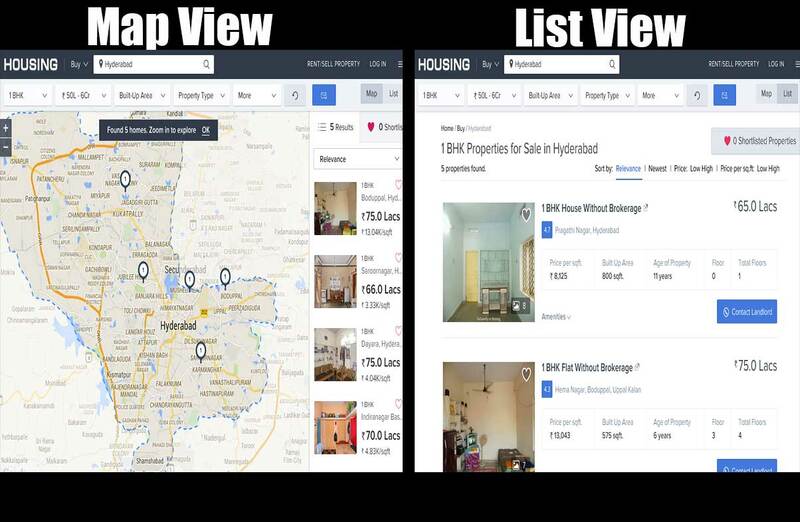 All the above information is provided correct and accurate.Housing is the best real estate portal to get your dream house on finger tips.Easy to access,simple interface and user friendly.The information provided by housing is accurate and verified.Even you can access by your handy device with the help of android and IOS app.I suggest you to go with this app and portal to get good home,flat or dream house.